In partnership with the August Wilson Cultural Center. 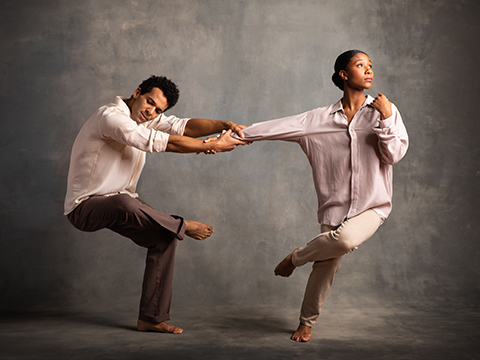 This mixed-repertory production brings together three celebrated choreographers to create stunning dance for the here and now in the August Wilson Cultural Center. The Quiet Dance, from Pittsburgh native Kyle Abraham, captures the feelings of frustration and isolation through sweeping movement, beginning in silence and then carried by the gentleness of Bill Evans’ arrangement of Bernstein’s “Some Other Time.” Staycee Pearl, artist in residence and local choreographer, will create a brand new ballet for the program. And the beloved popular music of Paul Simon sets the stage for Dwight Rhoden’s physical and visceral Simon Said. Friday, March 20, 2020 – 8 p.m.
Saturday, March 21, 2020 – 8 p.m.
Sunday, March 22, 2020 – 2 p.m.
Friday, March 27, 2020 – 8 p.m.
Saturday, March 28, 2020 – 2 p.m.
Saturday, March 28, 2020 – 8 p.m.
Sunday, March 29, 2020 – 2 p.m.